Oliver Whitehead of TENT pays a visit to Miesiac Fotografii w Krakowie on behalf of 1000 Words and discovers a bold and inventive edition of the festival that explores fashion from a myriad of perspectives while cementing its reputation as the 'Arles of the East'. 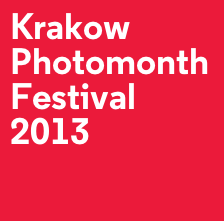 Krakow Photomonth is now in its eleventh edition, a feat which must be congratulated for any photography festival, especially one that appears to be somewhat 'off the map' of the traditional photography trail and also occurs yearly. Yet to focus too heavily on Photomonth's location as a negative point and the potential barriers faced would be a huge disservice to its innovative and engaging approach to programming, the thoughtful curation behind works on display and bold use of space. Brought together under the umbrella theme of Fashion, Photomonth steps far beyond the study of its subject as superficial aesthetic often presented to us through mainstream media, and perpetuated via advertising and the industry that accommodates it. Instead, the impetus is to offer a probing investigation of fashion as language - an analysis of the cultural and social decisions and signs behind 'getting dressed', what it is to be human and the way we select and present our identities. The major show is at Bunkier Sztuki Gallery of Contemporary Art, a striking example of Brutalist architecture in Poland. Curated by Pawel Szypulskijis entitled The Limits of Fashion, it can be seen as the flagship presentation, providing a vehicle for many of the ideas that are threaded throughout the festival. Given its size, The Limits of Fashion is divided into logical sections: Disguise, Disappearance, Uniform & Sign. Textual prompts are given from room to room such as: What does pretty mean? What is fashion? allowing viewers to be discursive in their thoughts and not just consumed with the imagery’s power of seduction. 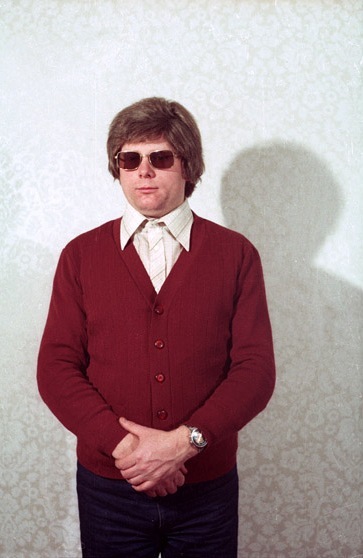 Perhaps the most pleasant surprise in this show is the work of Simon Menner, a project titled From a Disguise Seminar, comprising a collection of briefing photos for Stasi agents (the secret police of the German Democratic Republic which dissolved in 1990), giving examples of how to disguise one's identity, become a tourist, amateur photographer or policeman. Playful and somewhat Sherman-esque without context, the images pull back the curtain of how fashion has been used to subversively implement and sustain a controlling and repressive regime. Similar themes are explored in Jarocin Music Festival Seen Through the Lens of the SB (the Polish Security Service which also ran until 1990). Elsewhere, the Archive of Modern Conflict make a valid contribution with a very brief but insightful wall, 1970s Fashion Photography from the United States - showcasing shop fronts from the United States in the height of 'the American Dream' to examine how the manner in which it is sold to potential consumers through window dressing. Another pick from The Limits of Fashion is a video piece named Elastic by artist Zbigniew Libera. An eccentric, revealing study of how we are branded by fashion through marks left by the elastic in our clothes, where Libera seems to spend most of the recording trying to convince his increasingly uncomfortable subjects to reveal some skin. Sarcastic responses by the artist, such as “well you're just an exceptional specimen of a human who wears trousers, and there is no trace of elastic” seem to over-ride the initial intention. The most traditional example of work, dedicated to fashion photography's legacy can be found at the National Museum in a show titled Vanity. The work on display in this collection, despite its conventionality, lays down essential groundwork of classic photographs taken from Franz Christian Gundlach's twentieth century collection - showing artists including Guy Bourdin, Helmut Newton, Richard Avedon, Cecil Beaton and Erwin Blumenfeld. In stark contrast to Vanity, and one of the more powerfully ethereal experiences to be had in Photomonth is the presentation of Nick Knight's SHOWstudio, a revolutionary online platform dedicated to new methods of showing moving fashion imagery that has grown since its launch in 2000 into a rich resource offering an insight into the entire creative process. Situated just outside of the Jewish Quarter in an abandoned school, currently about to begin a state of redefinition as luxury flats, the viewer is left alone to wander the dimly lit corridors, guided to video installations by sound echoing through the corridors. It is a truly sensory journey. The main feature is a looping archive of SHOWstudio films, projected on to the walls of a circular room in a multi-channel installation, bombarding the viewer with sound and vision from all angles. Also noteworthy is an exhibition at the Galeria New Roman by Ukrainian duo, Tania Shcheglova and Roman Noven who operate under the moniker of Synchrodogs. The gallery sits at the top of a housing block in the south side of the city, and is itself a flat ripped out and re-purposed as project space. This is proof that a vast quantity of money is not necessarily required to conceive an exhibition, and working within a tighter budget can sometimes produce something more invigorating and surprising. 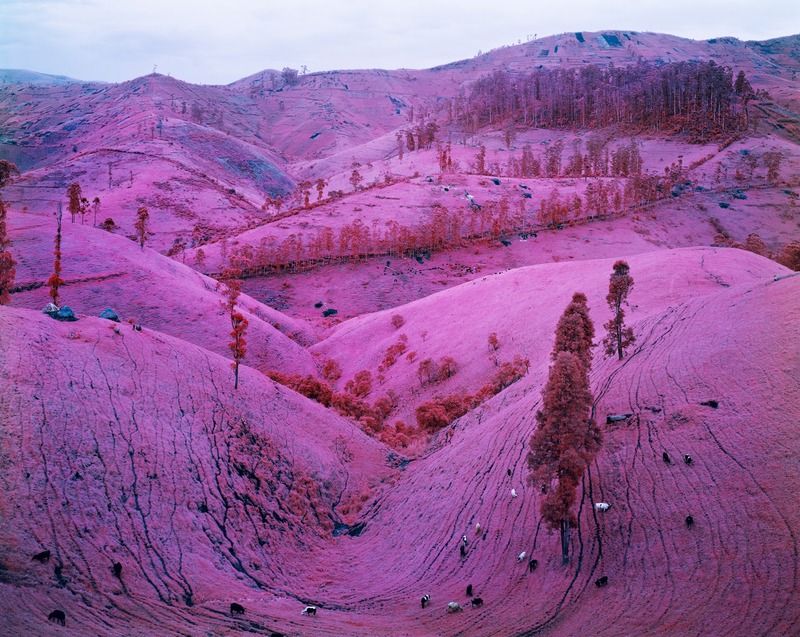 The work, which explores the intersection between man and nature is presented in the form of posters varying in size, pasted directly to the wall. The do-it-yourself ethic behind the gallery and exhibiting artists shines through and is executed to tremendous effect. Amongst the Main Programme and ShowOFF is the Experimental Section, a platform dedicated to capturing audiences in a different manner from the rest of the festival. This year, the section assumes the form of a 200-page glossy magazine, MAY, which has been made in a print run of 4000 copies. 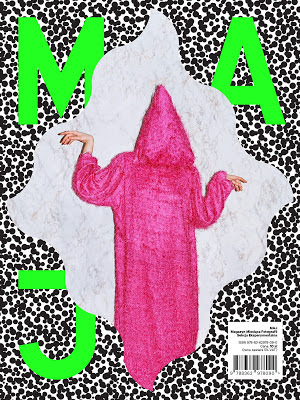 MAY has called upon a medley of collaborators ranging from people who are deeply invested in Poland's fashion industry to artists, editors, journalists as well as photographers to comment and critique on the state of the medium. Part of the motivation for making the trip was a genuine desire to find out how cities outside of what might be considered traditional centres for the visual arts establish an infrastructure, how and if they function differently to major cities and, most crucially, what ripple effects are felt by audiences and artists on local and international levels. Clearly, the festival organisers’ The Foundation for Visual Arts, have struck a neat balance between establishing wide networks through exhibiting international artists, inviting curators and also nurturing Poland's artistic and curatorial talent, of which there is plainly great amounts. Expansion of the ShowOFF section (a platform dedicated to showing the work of young Polish practitioners) within the festival this year, and the addition of the inaugural Krakow Photo Fringe testify to the aforementioned 'ripple-effects' and powerful legacy that Photomonth has been busy developing. 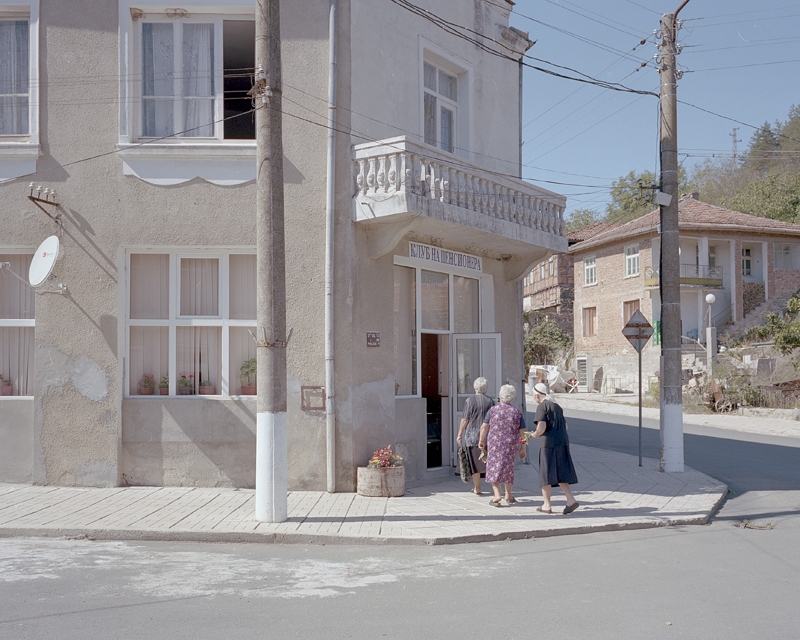 "Voulgaropoulos, translated, means 'the son of a Bulgarian'," writes George Voulgaropoulos in his blurb that serves as an introduction to his project. 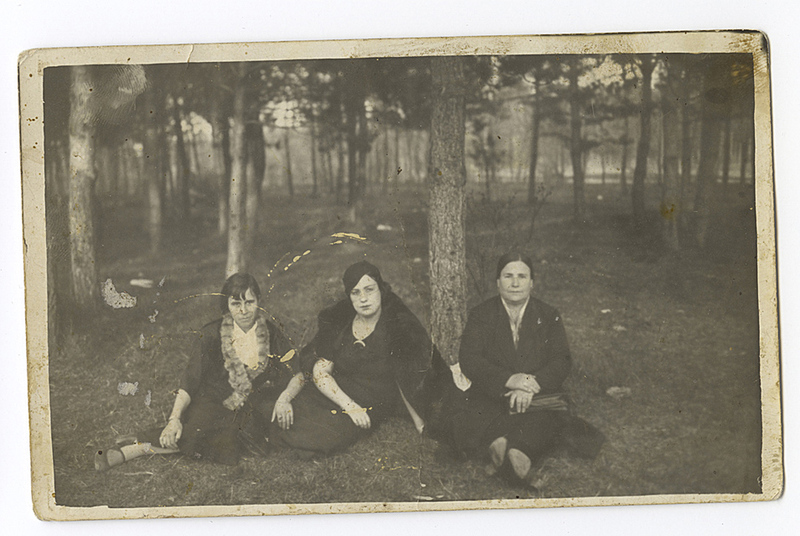 "When Nikos Voulgaropoulos was killed in 1922, any knowledge of our ancestry was lost with him. This is my journey as I search for the origins of my family and our name, beginning in Bulgaria where I meet a Greek minority group called the Karakachani. Traditionally transhumant shepherds, the Karakachani have been forced to urbanise in recent years due to economic pressures. Travelling across Bulgaria, down along the Black Sea coast and overland into Turkey, my journey took me through Istanbul to Izmir. Here I discover the birthplace of my grandfather in Smyra (modern day Izmir), in the suburb of Halkapinar. 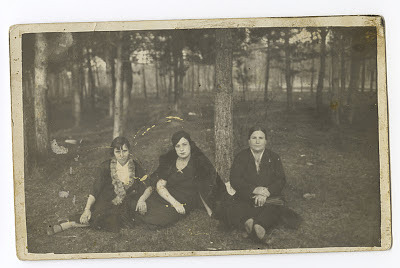 This project reflects my experiences as a second generation Australian growing up in a Greek family, tracing my connections with a fading past. The photographs represent my journey through the familiar within the unfamiliar on a search for the origins of my culture and identity." George Voulgaropoulos works as a staff photographer for a community newspaper group in the western suburbs of Sydney. 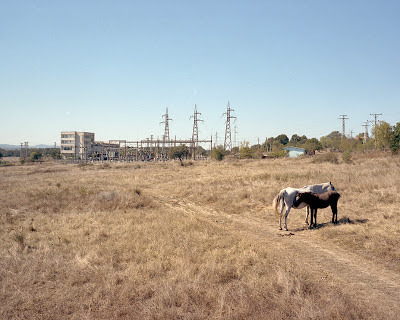 As well as teaching photographic workshops for refugees and emerging photographers, he has a passion for contemporary documentary photography and photobooks. 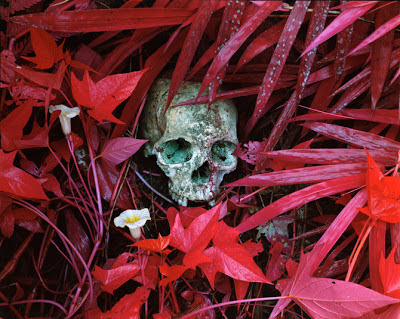 Voulgaropoulos’ personal work consists of ongoing long term projects which have been published extensively domestically and in international publications. As the art world descended on Venice for the 55th International Art Exhibition - La Biennale di Venezia last week for the opening extravaganza, one photographer in particular turned a lot of heads - or so my spies tell me. Representing Ireland with The Enclave, a major new multi-media installation, Richard Mosse produced this project with his collaborators Trevor Tweeten and Ben Frost. Travelling throughout 2012 in eastern Democratic Republic of Congo, infiltrating armed rebel groups in a war zone plagued by frequent ambushes, massacres and systematic sexual violence, the resulting installation, The Enclave, is the culmination of Mosse’s attempt to rethink war photography. 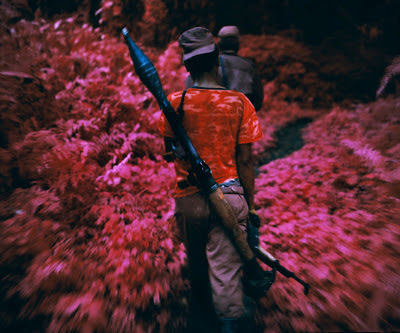 It is a search for more adequate strategies to represent a forgotten African tragedy in which, according to the International Rescue Committee, at least 5.4 million people have died of war-related causes in eastern Congo since 1998. Aperture Foundation is releasing a new 240 page monograph, with an essay by Jason Stearns, to coincide with the Biennale. Finally, here's a film from our friends at frieze which reveals the stories behind the making of the work and talks about the 'impossible image' that lies at the heart of his work. Bravo Richard!